MINSK, November 27./TASS/. Russian Prime Minister Dmitry Medvedev believes Ukrainian President Pyotr Poroshenko has no chances of winning the next year’s presidential election. "It is obvious that incumbent President Poroshenko has no chances to win in the elections as things stand at the moment, and maybe even no chances to continue to the second round," Medvedev told reporters. He believes the Kerch Strait provocation was apparently undertaken "to achieve certain decisions politically advantageous for the incumbent president". He said certain Ukrainian analysts spoke about a possible scenario like the one that unfolded in the Kerch Strait back a year ago within the context of the upcoming presidential election in Ukraine. 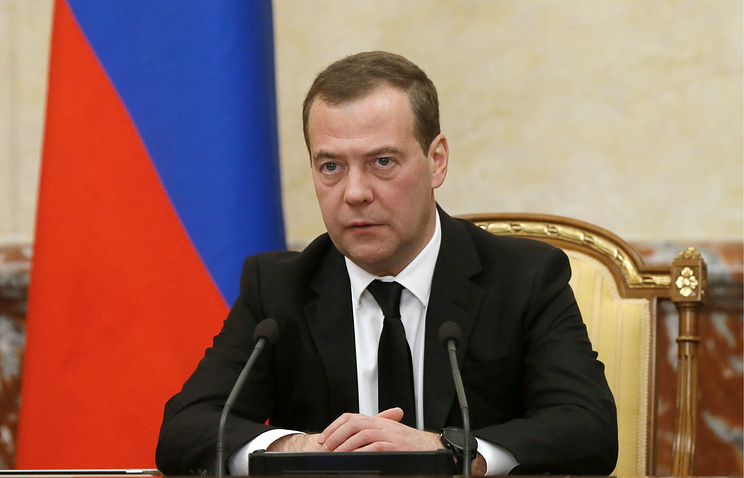 Medvedev said the incident was not discussed at a session of the Eurasian Intergovernmental Council in Minsk. "This is not the issue to be discussed in Minsk," he explained. According to Medvedev, the incident in the Kerch Strait may be fraught with problems for the Ukrainian economy. "Obviously, this incident [in the Kerch Strait] is an additional complication of the processes going on in Ukraine," he said. 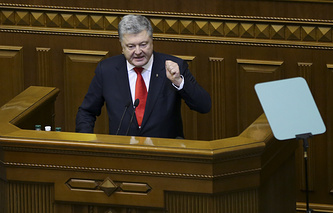 "It will create or, at least, may create serious problems for Ukraine’s economy." "And, naturally, it will do no good to the relations between Russia and Ukraine," he added. On November 25, three Ukrainian naval ships breached the Russian state border in the Kerch Strait. The Ukrainian ships did not respond to the legitimate demands coming from the vessels of the Border Service of the Russian Security Service (FSB) and the Black Sea Fleet that had pursued them in order to stop them immediately and thwart their dangerous maneuvers. Because of their blatant refusal to submit to the order, gunfire had to be used to stop the intruding Ukrainian ships. Three Ukrainian servicemen were lightly injured and later received medical treatment. In addition, the ships were detained. A criminal case was launched into the breach of the Russian state border. Later in the day, following Ukrainian President Pyotr Poroshenko’s order, the Council of National Security and Defense of Ukraine decided to impose martial law in the country.